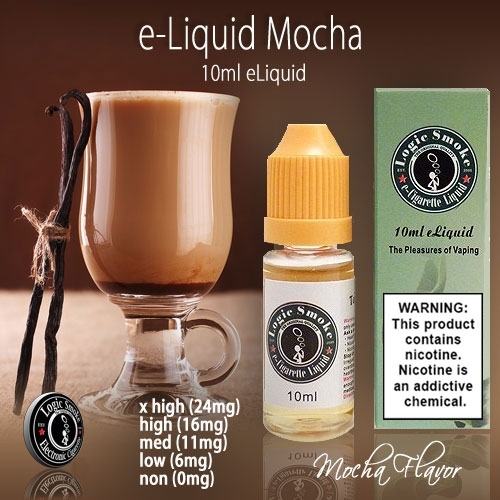 Mocha flavored electronic cigarette e-liquid is a true coffee lovers treat. The hint of chocolate can be amplified by adding in a few drops of our Chocolate, White Chocolate or Chocolate Cream. Add a touch of Vanilla or Almond flavored e-liquids. Fat vapor and beautiful aroma is what you'll enjoy! !